Russian literature fans in New York are in for a real treat this week at Book Expo America, as a stellar line-up of Russian authors, translators and scholars invite the public to join them at a series of free talks and readings around the city. Eager readers can pick up the magazine hot off the presses for free at the official Russia booth, No. 1511. 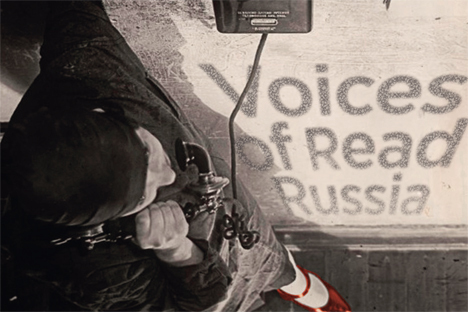 ‘Voices of Read Russia’ magazine is also downloadable in an expanded form for tablets at AppStore and Android Market, and showcases a wide range of Russian literature, from “Everyday Saints” – the smash hit bestseller about Russian priests by Archimandrite Tikhon Shevkunov, the confessor of President Vladimir Putin – to such well-known authors as Igor Sakhnovsky and Victor Pelevin. RBTH’s literary critic Phoebe Taplin writes an epistle of praise to contemporary Russian women writers, such as Ludmilla Petrushevskaya, whose collection of scary stories “There Once Lived a Woman Who Tried to Kill Her Neighbor’s Baby” was a New York Times bestseller. The magazine also features a new look at such classic Soviet-era authors as Mikhail Bulgakov (featured in a new TV version of “A Young Doctor’s Notebook”, starring Harry Potter star Daniel Radcliffe) and a newly released collection of stories by Andrey Platonov. There’s also a retrospective of the brilliant work of Varlam Shalamov, the little-known author of “Kolyma Tales”, who declined to work together with Alexander Solzhenitsyn on “Gulag Archipelago” but whose depiction of Stalin’s camps stands alongside his more famous counterpart. “Russian Literature: Writers, Readers, Publishers” is at Poets House, 10 River Terrace, NY, Wednesday May 29, 7pm. Featuring poet and editor-in-chief of OGI publishing house Maxim Amelin, author and literary scholar Aleksey Varlamov, and Overlook Press editor Mark Krotov. “War in Words” is at NYU Kimmel Center, 60 Washington Square South,Suite 905, starting at 6:30pm on Thursday May 30. Andrei Gelasimov, author of Gods of the Steppe and Thirst, talks with prize-winning literary translator Marian Schwartz about writing on war, its societal aftermath and personal toll. “Russian Literary Salon: A Bilingual Reading” with Maxim Amelin, Andrei Gelasimov, Olga Slavnikova and Irina Muravyova is at Strand Book Store, 828 Broadway, New York, NY, starting Friday, May 31, at 6:30pm. “In Conversation with Russian Authors” with Maxim Amelin, Andrei Gelasimov, Olga Slavnikova and Aleksey Varlamov (in Russian) is at Brooklyn Public Library, Dweck Center, 10 Grand Army Plaza, Brooklyn, Saturday, June 1, 1:00 p.m.